Custom laminating and coating for fabric and foam roll goods. Finding the right textile or composite for your product & application. Dela Incorporated is a trusted ISO 9001:2000 contract manufacturer offering lamination, foam fabrication and flexible material converting for roll goods including nonwovens, composites, films, papers, foils and foams. Our expertise in material sourcing makes us a valued supplier of cost effective, custom laminates, textiles and composites. We are a leading manufacturer of engineered flexible materials for companies servicing the medical, military, public safety, footwear, automotive and specialty packaging industries. 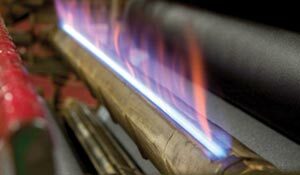 We use a variety of lamination techniques and specialty coatings to manufacture your textiles and composites. 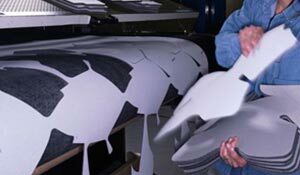 Offering die cutting, sewing, slitting, compression molding and more for your laminated and coated soft goods. 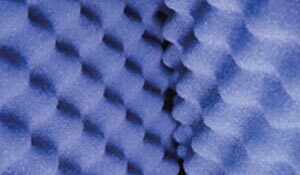 We fabricate foam components for a variety of applications including medical orthopedic devices, protective packaging & more.